ANDREA FUSTINONI & FIGLI SPA, Electricitate - lucrari, Lucrari publice - antreprenori, street lighting systems, pe EUROPAGES. 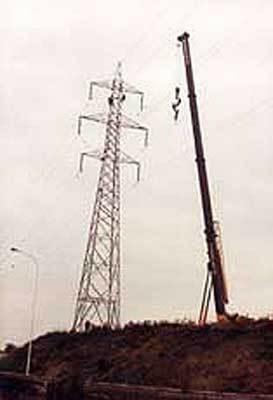 Construction and maintenance of electricity and telephone lines; Construction of high, medium and low voltage transformer stations. Lighting equipment, telephone lines and telecommunication systems. Construction and laying of elements and pylons. Breakdown services at any height, also using cranes. Construction, repair and maintenance of industrial buildings, civil and highway services.